Alhamdulillah Syafana Islamic School’s Tahfidz Programme 30 juz within 2 years 1ST batch, which has been in full swing since it started on 10th January 2018, . We have 50 (fifty) participants from Primary 2 to Grade 10 levels. 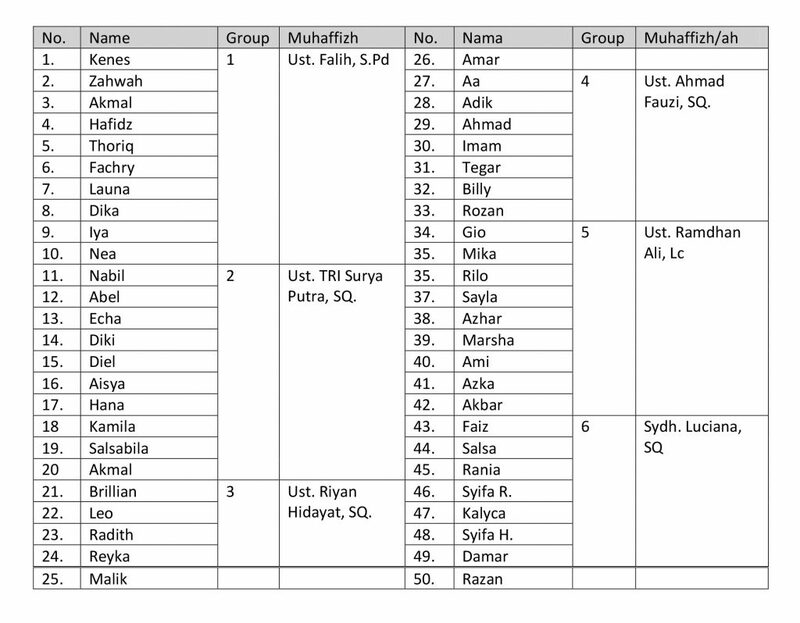 They are divided into 6 (six) groups and are taught by muhaffidz/ah who memorise 30 juz also. Our students under the supervision of Syekh Sayyid Amin from WAHATUL Furqan Tahfidz Foundation at Cairo, Egypt. Ust. Anov and Ust Ikhsan of Syafana Islamic School management also observe their progress day-by-day. Tahfidz class takes place every day from Monday to Saturday. Everyday our students starts memorising Al Qur’an from 5–8am at Masjid Al Iman Syafana Paradiso and after that they continue their studies in the classroom until 2pm, 3pm or 4pm. To prove our commitment, Syafana Islamic School has now opened applications for the 2nd batch that will start on 16th July 2018. Congratulations! Insya Allah this programme will run successfully because of blessings from Allah SWT! Hopefully this programme will continue every year and Syafana Islamic School will deliver many Hafidz/ah 30 juz of Al-Qur’an. Aamiin Yaa Rabb!